The British MoD is reporting the death of a British ISAF Marine in an IED attack in an unidentified location in Helmand Province, Afghanistan on Sunday, May 30th. NATO is reporting the death of an ISAF soldier in a small arms fire attack in an unidentified location in southern Afghanistan on Sunday, May 30th. #1: A prominent local leader of anti-insurgent Sunni forces was shot and killed by two gunmen Monday. The attackers were armed with silenced pistols and shot Nael al-Azami near a popular cafe in Baghdad's northern Azamiyah district. Two roadside bombs planted under Ghadeer bridge went off simultaneously when a police patrol passed, killing a civilian and wounding eight people, including six policemen, in Ghadeer district in eastern Baghdad, police said. #2: A roadside bomb struck an Iraqi police patrol in the capital's Ghadir neighbourhood, killing one policeman and wounding 10 bystanders and officers nearby. #3: A roadside bomb targeting a police troop went off and wounded six, including three policemen, in Zayouna District, eastern Baghdad, police said. #4: A sticky bomb attached to a SUV went off and wounded a civilian in Palestine Street, north-eastern Baghdad, police said. #1: In Kirkuk, a policeman has died after a roadside bomb hit his patrol Sunday evening. Four of his colleagues were seriously hurt in the blast. #1: A 14-year-old Iraqi girl was killed Sunday and dozens of families fled their homes to escape Iranian artillery shells in northern Iraq, according to a Kurdish Regional Security Forces spokesman. The artillery shells rained down on villages Sunday where Kurdish rebels were thought to be operating, said Jabbar Yawer. The artillery targeted villages in the Balakiyaki border area, about 125 km (77 miles) northeast of Irbil province. The barrage began late Saturday and continued until Sunday morning, Yawer said. A number of farms in the villages were heavily damaged, Yawer said. #1: NATO launched airstrikes Monday against Taliban insurgents who had forced government forces to abandon a district in eastern Afghanistan. Early Monday, NATO aircraft fired guided munitions on Taliban positions at Barg-e-Matal district in Nuristan, a province in the mountainous region on the Pakistani border. No casualty figures were given. #2: Further south, NATO said a civilian contractor's helicopter crash-landed Sunday in Paktia province, killing one civilian on the ground and slightly injuring three crew members. NATO said the cause of the hard landing was being investigated, but there were no reports of insurgent involvement. #3: In the north, insurgents detonated a remote-controlled bomb Sunday as a police convoy passed by, killing seven officers in a province previously considered to be relatively safe, said deputy provincial Gov. Shams-ul Rahman. #4: In nearby Kunduz province, militants attacked a police checkpoint in Ali Abad district, triggering a gunbattle that killed three insurgents and wounded seven others, the Interior Ministry said. #5: Eight Afghan police were wounded Sunday by a suicide bomber who struck a checkpoint on the outskirts of Khost City southeast of Kabul, officials said. Bomb attack on convoy of an Iraqi army colonel injures 2 of his guards. Gunmen kidnap 2 civilians and commandeer their vehicle. For hundreds of thousands of Iraqis . .., the delay in seating a new government, which already has lasted nearly three months, has complicated everyday errands and added bureaucratic frustration to lives that are hard enough thanks to persistent violence and the lack of basic utilities. Each day the political infighting drags on, more Iraqis begin to question their participation in the March 7 parliamentary elections, which the Obama administration had counted on to pave the way for an unimpeded withdrawal of U.S. forces by the end of next year. Government-owned carrier Iraqi Airways is liquidated due to debts owed to Kuwait over stolen aircraft. We demonstrate unambiguously that, beginning with the Korean War, disadvantaged communities have suffered a disproportionate share of the nation’s wartime casualties, while richer communities have been more insulated from the costs of war. 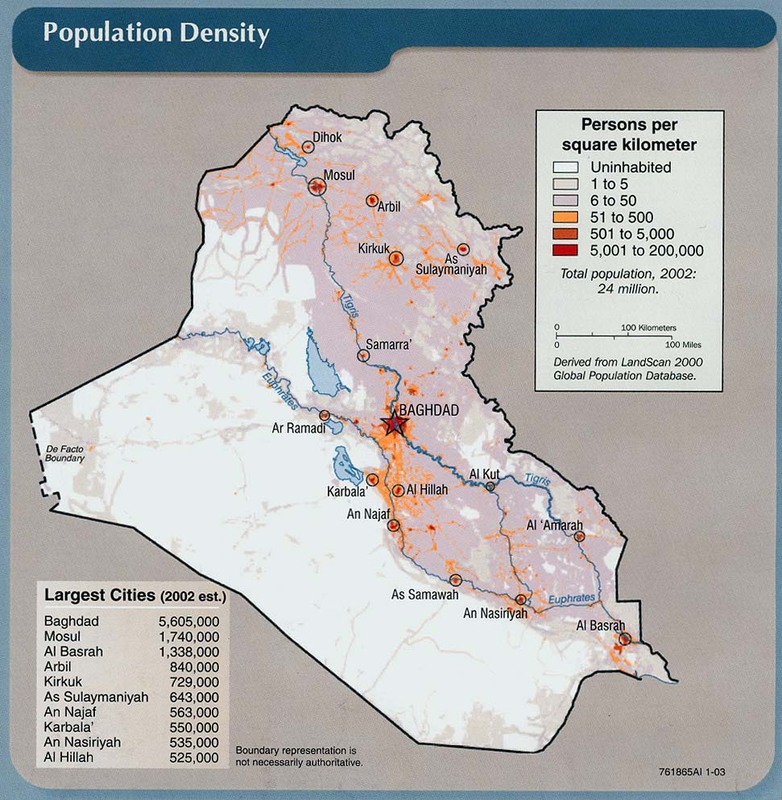 Furthermore, the data suggest that this “casualty gap” between rich and poor communities has reached its widest proportions in the ongoing conflict in Iraq. What would happen if the nation openly acknowledged the casualty gap? Would citizens rethink questions of war and peace? To find out, we conducted a series of original public opinion survey experiments with nationally representative samples of Americans. We found that citizens informed about the existence of a casualty gap were significantly more likely to oppose ongoing military operations and less willing to support future ones than were their peers who were not informed about casualty inequalities. Now, as the United States prepares to dramatically decrease its military presence in Iraq this summer, American commanders are trying to decide what to do with the vast collection of plaques, street signs and painted concrete barriers dedicated to the men and women who shed their blood in this desert country. In the Vietnam War, units brought home their memorabilia and memorials when they rotated out of the country. When the U.S. closed down bases around Germany at the end of the Cold War, the memorabilia also was preserved. Now, it's Iraq's turn. But preserving some of the memorials could prove difficult. Roadside bomb attack on a police patrol in the northeastern province of Badakhshan kills 7 officers. Taliban torch 6 fuel trucks in Ghazni, destined for NATO forces in Kandahar. Separately, 4 Afghan civilians are killed in explosions in Khost, Nangarhar and Paktika and Ghor. Gen. McChrystal claims that Taliban fighters are receiving training and arms from Iran. He offers no evidence for this assertion. From DPA: "The Iranian regime, which has built up a favorable relationship with President Hamid Karzai's government, has in the past repeatedly denied that it supports the Taliban and in turn accused the US of playing a 'double game' in the war-torn country. Afghan officials have also said they have no evidence that Iran is helping the Taliban." As Afghanistan's most powerful men arrive in Kabul for a major conference aimed at starting a peace process with the Taliban, many women are worried the event could lead to a compromise of their hard-won rights. In an effort to end the nine-year conflict, Afghanistan is holding a peace jirga -- or an assembly -- of powerful leaders, tribal elders and representatives of civil society to consider President Hamid Karzai’s plans to open talks with Taliban. But even the remote possibility of a Taliban return has touched off concern about the fate of women who were banned from schools, the work place and public life during the Taliban rule from 1996 to 2001. Concerned activists also point to the fact that women are not adequately represented at peace jirga, in which they represent a very small number of the 1,400 seats. And although between 30 and 50 women are expected to attend, none is involved in its planning. Some believe that women were only given a “symbolic” role to lure Taliban to sit at the negotiations table. U.S. military investigation uncharacteristically admits culpability for a missile attack that killed 23 civilians in February. "U.S. military investigators found that "inaccurate and unprofessional" reporting by U.S. operators of a Predator drone was responsible." Canada's senior commander in Afghanistan, Brigadier General Daniel Menard, is relieved of his command, for unspecified reasons but apparently involving fraternization. Due to threats, some tribal elders from Ghazni will not attend the Jirga. Taliban have captured a district in Nooristan, Afghan forces have withdrawn from the district center to avoid civilian casualties. #1: The homes of two Sahwa members and one policeman were blown up in Hor Rijab area, south Baghdad, at 2 a.m. Friday. The families had abandoned their homes many months earlier for fear of retaliation and three civilians from a neighbouring house were severely injured. #1: Three sahwa (awakening) tribal pro-government fighters were wounded in a blast from an improvised explosive device (IED) west of Baaquba city on Friday, an official security source in Diala said. “An IED planted in waste dumps in al-Katoun neighborhood, (3 km) west of Baaquba, went off near a sahwa checkpoint, leaving three fighters wounded,” the source told Aswat al-Iraq news agency. #1: Unknown gunmen on Saturday detonated a policeman’s house east of Ramadi city. “Large portions of the policeman’s house were destroyed due to the blast,” a local security source told Aswat al-Iraq news agency. He noted that some nearby houses were also damaged due to the explosion. “The blast caused no casualties,” the source explained. #1: A SUICIDE attacker with explosives strapped to his body blew himself up on Saturday outside a military caterer in Kabul but caused no casualties, Afghanistan's interior ministry said. The explosion took place east of the capital, close to a warehouse and supermarket run by Supreme Food Services, supplier of food to the foreign military, ministry spokesman Zemarai Bashary told AFP. 'It was suicide attack and the suicide attacker detonated explosives strapped to his body,' he said. It was not immediately clear what the target of the attack had been, he said, adding the attacker, who was on foot, may have detonated prematurely. The blast took place at the Kabul end of the road to Bagram air base, a huge Nato installation and until recently the biggest in the country, which is about 45 kilometres further north. #2: Taliban insurgents overran a remote district in eastern Afghanistan after days of heavy fighting in the area, a provincial police official said on Saturday. The battle erupted earlier this week in Barg-i-Matal district of mountainous Nuristan province, a remote area bordering Pakistan, when hundreds of Taliban fighters stormed the district centre, said Qasim Payman, police chief of the province. "The police force in the area has tactically retreated from the district after days of fighting," he told Reuters, adding there were no signs of reinforcements despite repeated requests. #3: A bomb blast in Khost city the capital of the Khost province in eastern Afghanistan injured four civilians on Saturday morning, police said. "An explosive device was detonated in an ice cream shop in Sargardan square in Khost city this morning at 8:45 a.m. local time injuring four civilians including a 14 years old boy," deputy to provincial police chief Guldad told Xinhua. #4: Militants ambushed an Afghan police convoy with a roadside bomb and gunfire in eastern Afghanistan, killing five officers before fleeing NATO aerial bombardment, an official said Saturday. Two militants were killed and up to six wounded in the battle Friday in Paktia province, said Ghulam Dastagir, the deputy provincial police chief. He said the convoy was headed toward the Dandi Pathan district when one vehicle was hit by a roadside bomb blast, killing five officers and wounding the district police chief. Militants opened fire after the blast, triggering a gunbattle that lasted several hours before NATO aircraft were called in. #5: Two missiles fired by U.S. drone aircraft struck militant compound near Afghan border, killing nine militants, including some foreigners, Pakistan officials said. There was no independent confirmation of attack. NATO is reporting the death of an ISAF soldier in an IED attack somewhere in southern Afghanistan on Friday, May 28th. News reports this to be an American. #1: Afghan forces battled militants in a remote region near the Pakistan border for a sixth day Friday, and officials were trying to confirm reports that a key Pakistani Taliban leader was killed in the fighting. Hundreds of militants have been trying since Sunday to seize control of the Barg-e-Matal district of Nuristan province along the Pakistani border, provincial officials said. #2: Four policemen were gunned down in Sattelite Town area of Quetta in an ambush by unidentified armed men.Unidentified gunmen Friday killed four policemen in Quetta, where targeted killings blamed on insurgents and Taliban militants are increasing, police said. The attack took place in Satellite Town, a neighbourhood of Quetta, the capital of resource-rich Baluchistan province, police said. "A police station house officer, two constables and the driver were killed on the spot. The attackers fled on their motorcycle," local police official Mohammmad Amin told AFP by telephone. #3: The officials said that at least 25 militants were killed when fighter jets pounded militant hideouts in the Kasha area of Upper Orakzai tribal region. #4: Separately, militant hideouts were also bombed in the Dabori, Mamuzai and Ghalju areas of Upper Orakzai killing 15 militants, injuring 25 and destroying five militant hideouts. #5: 10 militants were killed and a security personnel identified as Shahab Akhtar died in a clash in the Dabori area. #6: In another incident, two militants and a policeman were killed in clashes in Hangu district, which shares a border with Orakzai Agency, on Thursday, District Police Officer (DPO) Hangu Abdur Rashid Khan said. The incident occurred in the Mamu Khwr area of Tull tehsil in Hangu district when militants opened fire at a police mobile. #8: Operations were also launched in Zagari Shinwari area when armed forces attacked using artillery fire in the Ghalju and Mamuzi areas. Reports said four insurgents were killed in the assault. The British MoD is reporting the death of a British ISAF soldier from small arms fire in the Nahr-e Saraj area, Helmand province, Afghanistan on Wednesday, May 26th. The British MoD is reporting the death of a British ISAF Marine in an IED attack in the southern green zone, Helmand province, Afghanistan on Wednesday, May 26th. The DoD is reporting the death of Sgt. Edwin Rivera who died at Bethesda Naval Medical Center, Bethesda, Md, U.S.A. on Tuesday, May 25th. He was originally wounded in an indirect fire at Contingency Outpost Xio Haq (location ? ), Afghanistan, on Thursday, May 20th. #1-4: At least 15 persons were wounded on Thursday morning in four bombs explosion in separate areas of Baghdad, a police source said. #1: “The first blast took place in Allawi region near the main public transport garage, where six people were wounded,” the source told Aswat al-Iraq news agency. #2: “The second blast occurred in al-Iskan region in western Baghdad, when a roadside bomb exploded on the main road, injuring four civilians,” he added. #3: “The third explosion rattled al-Kendi street in al-Harithiya region in western Baghdad, where two civilians were wounded,” he continued. #4: “A fourth bomb went off in al-Jehad neighborhood, southwestern Baghdad, injuring three civilians,” he said. #1: Army forces waged on Wednesday a military operation in north of Baaquba, according to a security source. “The forces launched the security operation in Khales district, north of Baaquba, in light of the car bomb explosion that rattled the district five days ago, during which scores were killed or wounded,” the source told Aswat al-Iraq news agency. #1: A police officer was killed by unknown gunmen in western Mosul on Wednesday, according to a security source. “Unknown gunmen opened fire on Captain Khattab Aouni from the interior ministry on Wednesday (May 26), killing him instantly,” the source told Aswat al-Iraq news agency. #2: A roadside bomb went off near a tribal leader's house, wounding his wife, in eastern Mosul, 390 km (240 miles) north of Baghdad, police said. #3: A roadside bomb targeting an Iraqi army patrol wounded two soldiers in southeastern Mosul, an Iraqi army source said. #1: An improvised explosive device went off on Wednesday in north of Talafar, without leaving casualties, a police source said. “The bomb exploded in Qubk village in north of Talafar, without leaving casualties,” the source told Aswat al-Iraq news agency. #1: Taliban armed with rockets and grenades stormed the home of a pro-government Pakistani tribal elder Thursday, killing him, his wife and son before blowing up their house, officials said. The pre-dawn killings took place in Asghar village, about 40 kilometres (25 miles) northwest of Khar, the main town in Pakistan's lawless tribal district of Bajaur, which borders Afghanistan. "Malik tur Mulla, his wife and a son died in the attack while one women was wounded," Irshad Khan, a local administrative official in the area, told AFP by telephone. His son had been 22 years old, Khan said. "Taliban militants attacked the house. First they fired rockets and hurled hand grenades. Then they entered. They killed Malik and his family with Kalashinkovs," Jamil Khan, a local government official, told AFP by telephone. Two intelligence officials described Mulla as an active tribal elder in the area who supported military operations against the Taliban in Bajaur. #2: In Dabori and Ghiljo areas, 15 militants were killed and another 15 injured when helicopter gunships pounded their hideouts, security sources said. Five militant hideouts were destroyed in the bombardment. #3: Security forces also shelled Kasha area, a stronghold of the Taliban near the border with Afghanistan. At least 25 militants were killed in this area, the sources said. Security officials have claimed that over 700 militants have been killed since the army launched an offensive against the Taliban in Orakzai tribal agency earlier this year. #4: One Afghan policmean was killed and three were wounded when their vehicle hit a roadside bomb on Wednesday in Bala Boluk district of western Farah province, the Interior Ministry said. #5: One insurgent was killed and another wounded when the explosives they were preparing for a homemade bomb detonated in Ghazni city, southwest of Kabul, the Interior Ministry said. #1: Three persons were wounded when a roadside bomb went off on Tuesday in central Baghdad. “The three victims are civilians,” a local police source told Aswat al-Iraq news agency. #1: Gunmen shot and killed a civilian while he was working as a security guard in an agricultural crops market near the civil defence department in the district of Daquq, south of Kirkuk. #1: Three policemen were killed in clashes with militants in the area of Sinjar, just outside of Mosul. Police arrested eight of the militants. #1: Two army personnel were killed by a bomb targeting their patrol west of Mosul, Iraqi police said. #2: One civilian was wounded on Tuesday when gunmen opened fire on an army checkpoint in eastern Mosul, a security source said. “Unknown gunmen opened fire on an army checkpoint in al-Methaq neighborhood, eastern Mosul, injuring a passing civilian, who was rushed to a nearby hospital for treatment,” the source told Aswat al-Iraq news agency. #3: Two security guards were killed on Tuesday in southern Mosul, according to a police source. “The two guards were killed late Tuesday (May 25) by gunmen, who used guns with silencers, in front of the Mosul train station in the southern section of the city,” the source told Aswat al-Iraq news agency. #1: A car bomb exploded Wednesday outside a small NATO military base in southern Afghanistan's largest city, wounding two Afghans and destroying several cars, police said. The blast occurred around 11:30 a.m. in a parking lot used by Afghans visiting Camp Nathan Smith in Kandahar city, said Gen. Shafiq Fazli, the police commander for southern Afghanistan. The base houses a few hundred Canadian soldiers, along with American military police and U.S. and Canadian government employees working on development projects. Fazli said no one was killed. A police officer said at least one security guard and one Afghan who works at the base were wounded. The officer gave only one name, Khalid. #2: Taliban militants in efforts to consolidate grip have raided the mountainous Barg-e-Matal district in Afghanistan's eastern Nuristan province, Interior Ministry said in a statement on Wednesday. Sporadic fighting according to the statement is still continuing. "The armed rebels carried out a failed attack on Barg-e-Matal district on Tuesday which left seven insurgents dead," the statement added. It also confirmed that one policeman was killed and five others including a police constable and four militants had been injured. #3: Afghan and international forces killed eight insurgents during a joint operation in Bala Morghab district of northwestern Badghis province on Tuesday, the Afghan Defence Ministry said. One Afghan soldier was also killed in the fighting, it said. #4: Afghan and NATO-led forces killed "several" insurgents when they came under a attack during a search operation for a Taliban commander in southern Helmand province on Tuesday, the alliance said. No civilians were harmed during the fighting, it said. MNF-Iraq (OIF) is reporting the death of a U.S. Soldier during combat operations in an undisclosed location in Iraq on Monday, May 24th. The DND/CF is reporting the death of a Canadian soldier in an IED attack about 20 kilometres southwest of Kandahar City, in the Panjwa’i District, Kandahar province, Afghanistan on Monday, May 24th. NATO is reporting the death of an ISAF soldier from a small-arms fire attack in an undisclosed location in eastern Afghanistan on Monday, May 24th. #1: Baghdad police say masked gunmen have attacked gold shops in the Iraqi capital, killing 14 people before they fled with a large quantity of gold. The police say the gunmen came in five cars, their faces covered with traditional Arab headscarves, and opened fire on 12 shops in the southwestern Baghdad neighborhood of Baiyaa before noon on Tuesday. They used guns with silencers. Police and hospital officials say some of those killed were gold shop owners and workers and others were bystanders. All the officials spoke on condition of anonymity because they were not authorized to talk to the media. #2: A roadside bomb targeting a police patrol in northeastern Baghdad wounded five people including three police officers, police said. #1: Gunmen in northern Iraq killed a newly elected lawmaker from a Sunni-backed list that narrowly won Iraq's March elections, officials said, in a slaying certain to rattle the fragile political system. A spokesman for the Iraqiya list said Bashar Mohammed Hamid Ahmed was killed in a drive-by shooting as he was on his way home, making him the first lawmaker to die since the March 7 election. #2: An old woman was killed by gunmen on Monday inside her house in central Mosul, a police source said. 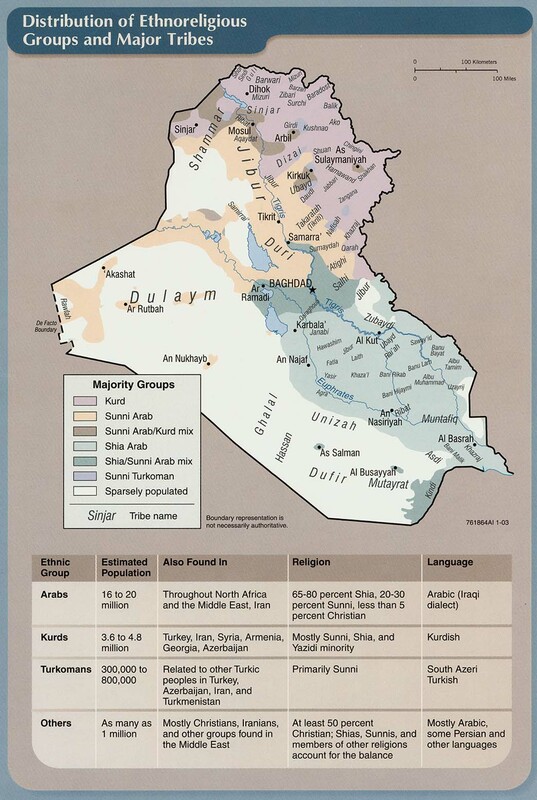 “Unknown gunmen stormed a house in Khazrag region, central Mosul, killing an old woman, born in 1935, who was alone in her house,” the source told Aswat al-Iraq news agency, noting that they fled the area to unknown place. #3: One civilian was killed on Monday by unidentified gunmen in western Mosul, a police source said. “One civilian was shot and killed by gunmen on a road in 17 Tamouz neighborhood, western Mosul,” the source told Aswat al-Iraq news agency. #1: One civilian was wounded by an improvised explosive device in eastern Falluja, a police source said on Monday. “The bomb exploded on a road in al-Shuhadaa region in central al-Karma district, eastern Falluja, injuring a civilian and damaging a passing vehicle,” the source told Aswat al-Iraq news agency. #2: Two bombs targeting the house of a senior police officer killed his guard and wounded four members of his family in central Ramadi, 100 km (60 miles) west of Baghdad, police said. #3: Two separate bomb blasts targeted the homes of two police officers in central Ramadi. There were no casualties. #1: A bomb blast in Pakistan's Balochistan province has killed at least two people and injured over a dozen others, including women and children. The improvised explosive device (IED) was planted in a rickshaw, officials told Press TV, adding that the rickshaw was heading to the airport in Quetta, the capital of Balochistan province. The rickshaw driver and a passenger were killed, while several people travelling in a passenger van close to it were wounded. Of the 14 injured, who were on their way to a wedding party, six were women and two were children. #2: Afghan and NATO-led forces killed several individuals in a fierce gun battle in Paktia province on Tuesday, the alliance said. The targeted individual killed was an Afghanistan al-Qaeda leader, while the remaining individuals were engaging the security force with automatic rifles and hand grenades. #1: “The bomb squad managed to defuse two IEDs near an outdoor souk (market) in the area of al-Baijiya, al-Mansour neighborhood, western Baghdad,” it added. #2: Two unidentified bodies were found near a church in Dora, south Baghdad, late Saturday. #1: Security forces found three bodies of workers dumped inside a sewage project in Karbala on Sunday, according to a member of the provincial council’s security committee. “The bodies, found in a sewage project in the area of Bab Tuwayrij, (one kilometer east of Imam al-Abbas Shrine), turned out to be of workers hired in the project of al-Majsar in the area,” Jassem al-Fatlawi told Aswat al-Iraq news agency. #1: A roadside bomb went off on Monday targeting a U.S. convoy north of Kut city. “The blast occurred around 40 km north of Kut city,” a local security source told Aswat al-Iraq news agency. He noted that casualties are unknown because U.S. servicemen started shooting randomly, cordoned the area, and prevented anyone from getting closer. #1: Unknown gunmen on Monday detonated the house of an Iraqi army officer south of Tikrit city. “The house belongs to an Iraqi army lieutenant colonel,” a local police source told Aswat al-Iraq news agency. He noted that the blast caused no casualties. #1: A woman was wounded on Monday when a roadside bomb went off near his house to the north of Mosul city. #2: Iraqi army forces on Monday defused a roadside bomb to the east of Mosul city. “The bomb was planted on a main road east of Mosul,” an army source told Aswat al-Iraq news agency. #3: A roadside bomb targeting an Iraqi army patrol wounded two soldiers in western Mosul, police said. #4: Gunmen stormed a house and killed an elderly woman in central Mosul, police said. #5: Gunmen shot dead a civilian in western Mosul, police said. #1: A British military blog reported Monday that Canadians and Americans were among more than a dozen coalition troops wounded in a Taliban rocket attack at the Kandahar Airfield, but the International Security Assistance Force is disputing that. The Helmand Blog, run by several branches of the U.K. military both in England and Afghanistan, said insurgents attacked the base from two locations Saturday night, launching five rocket-propelled grenades. It said 13 people from the American and Canadian contingents suffered injuries. The blog quoted Senior Aircraftsman Eric Telford, 24, from 2nd Squadron of the Royal Air Force, as saying he rushed to the site of the attack and applied a tourniquet to a wounded female Canadian soldier. The blog entry was later removed after ISAF said it was posted without proper approval and contained some incorrect information. In an email, Capt. Scott Costen said the number wounded and their nationalities was inaccurate, but he declined to provide the correct information. It is against ISAF policy to release the numbers of those wounded or their nationalities. #2: A bomb ripped through a minibus in western Afghanistan on Monday, killing five civilians and wounding another eight, some critically, the interior ministry said. The Toyota Coaster bus had been taking passengers from the district of Pusht Rod in Farah province to Khaki Safed district. #3: Foreign and Afghan forces killed 13 Taliban in an attack involving an air strike on Monday in an area of Ghazni province, an official said. The attack was staged in response to a Taliban ambush against a convoy carrying supplies for the foreign forces, he said, adding there were no casualties from the ambush. #4: Taliban guerrillas shot dead at least five residents in southeastern Khost province after accusing them of spying for the Afghan government and foreign troops, villagers said on Monday. MNF-Iraq (OIF) is reporting the death of United States Division-North Soldier presumably during combat in northern Iraq on Friday, May 21st. The French MoD is reporting the death of a French ISAF soldier in an IED attack in Orzgan Province on Saturday, May 22nd. The Netherlands MoD is reporting the death of a Dutch ISAF soldier in an IED attack in Orzgan Province on Saturday, May 22nd. Four additional soldiers were wounded in the attack. NATO is reporting the death of a third ISAF soldier in an IED attack in an undisclosed location in southern Afghanistan on Saturday, May 22nd. 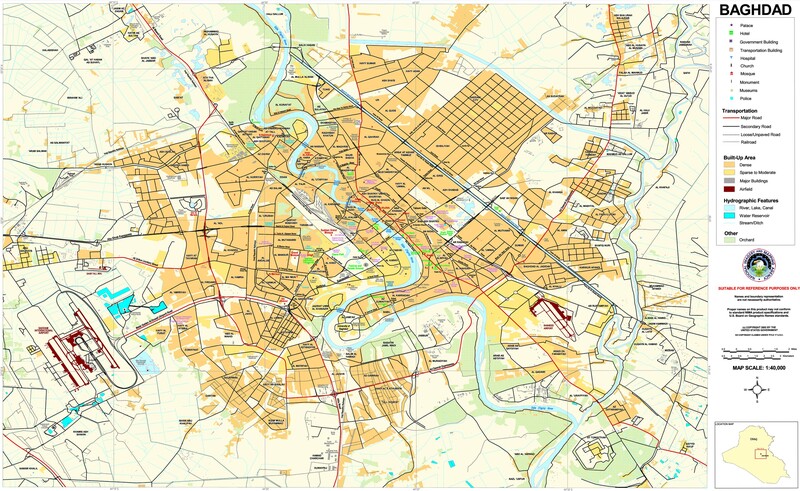 #1: One civilian was killed on Sunday when a sticky bomb went off in western Baghdad. “The bomb was attached to the victim’s car,” a local police source told Aswat al-Iraq news agency. #2: A magnetic bomb that was stuck to the car of Omar Abdullah, Sahwa leader of Tu'ma neighbourhood, Dora, south Baghdad detonated in Dora, at 9.30 a.m. Saturday. The explosion killed Abdullah straight away. #1: Four security guards were injured Sunday when two explosive devices detonated near the entrance of an oil company in the northern Iraqi city of Kirkuk, a police source said. 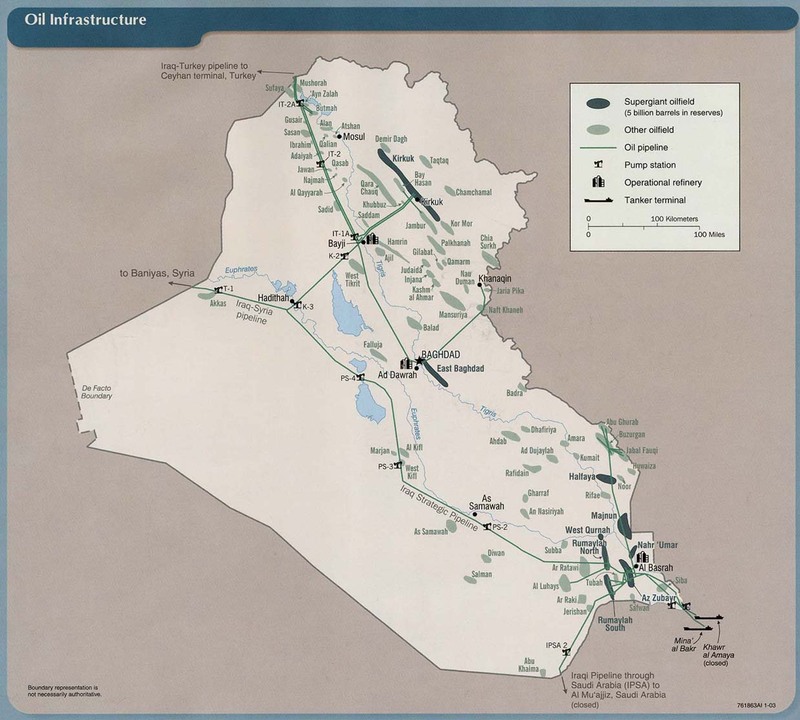 Security forces cordoned off the area and launched a search operation for those behind the blast, which targeted the North Oil Company, northwest of Kirkuk, Helo Nagat, of Kirkuk police, told the German Press Agency dpa. #1: Unknown gunmen detonated two houses of two policemen in east of Ramadi city. “The two houses and nearby houses were damaged in a two separate incidents,” a local security source told Aswat al-Iraq news agency on Sunday. He noted that the two blasts caused no casualties. #1: Insurgents attack NATO's southern Afghan base. It was the second such attack on a major military installation this week. Several coalition troops and civilian employees were wounded in Saturday night's assault, but there were no reports of deaths, officials said. Militants unleashed rockets and mortars about 8 p.m. (1530 GMT) and then tried unsuccessfully to storm the northern perimeter, officials said. Artillery and machine-gun fire reverberated through the base, about 300 miles (500 kilometers) southwest of Kabul, for more than three hours afterward. One of the rockets hit a shop-lined boardwalk where soldiers go in the evening to socialize. A bloodstain could be seen on the walkway outside a T.G.I. Friday's restaurant on the boardwalk Sunday morning, said Maura Axelrod, a reporter with HDNet who was inside the base. Taliban spokesman Qari Yousef Armada told The Associated Press that its fighters attacked the base from two sides and fired more than 15 rockets. On Saturday night, at least five rockets struck the Kandahar base in the initial attack, said Navy Cmdr. Amanda Peterseim, a spokeswoman for NATO forces at the base. Witnesses said explosions continued through much of the night. There were no reports of deaths and Peterseim did not have the precise number of wounded. "The alarm has been sounding for several hours, but no insurgents have penetrated the base perimeter," NATO said in a statement issued overnight. It said "a number" of military and civilian personnel were wounded "and are receiving medical treatment. There are no confirmed fatalities." NATO said troops and civilians were told to remain in bunkers as a precaution. #2: In the east, meanwhile, the police chief of Andar district in Ghazni province was killed in a gunbattle with militants Sunday, said Yasouf Saraji, the district administrator. #3: Five Afghan civilians were killed when an anti-tank mine left over from the Soviet invasion exploded as they were digging on their farmland, the interior ministry said on Sunday. The incident took place on Saturday in Khum-e-Zargar area of northeastern Kapisa province, it said. #4: Two Afghan army soldiers were killed and five more wounded in an insurgent attack during a patrol in south and southeastern Afghanistan, the defence ministry said on Sunday. #5: At least 30 militants were killed and 35 others injured in an air strike in northwest Pakistan's tribal area on Sunday, military sources said. Local officials on condition of anonymity told Xinhua that the causalities took place when Pakistani jet fighters pounded six different hideouts of the militants in Upper Orakzai tribal agency. Local sources said some skirmishes on ground also took place in the area, adding four vehicles were destroyed in the aerial attack. However, Pakistani army spokesman Major general Athar Abbas did not confirm the exact number of the casualties, saying that the operation in the area is continuing and causalities have occurred but the number could be confirmed a little bit latter. The British MoD is reporting the death of a British ISAF Marine in an IED attack near Patrol Base Almas, in Sangin, Helmand province, Afghanistan on Friday, May 21st. #1: A home made bomb that was planted inside a deserted restauratnt in al Ji'aifir neighbourhood, Karkh, central Baghdad, detonated, around dawn Friday, injuring four policemen standing duty in a nearby checkpoint. #1: A car bomb exploded Friday at an open-air market crowded with shoppers in a Shiite town northeast of Baghdad, killing 23 people and wounding more than 50, Iraqi police and hospital officials said. 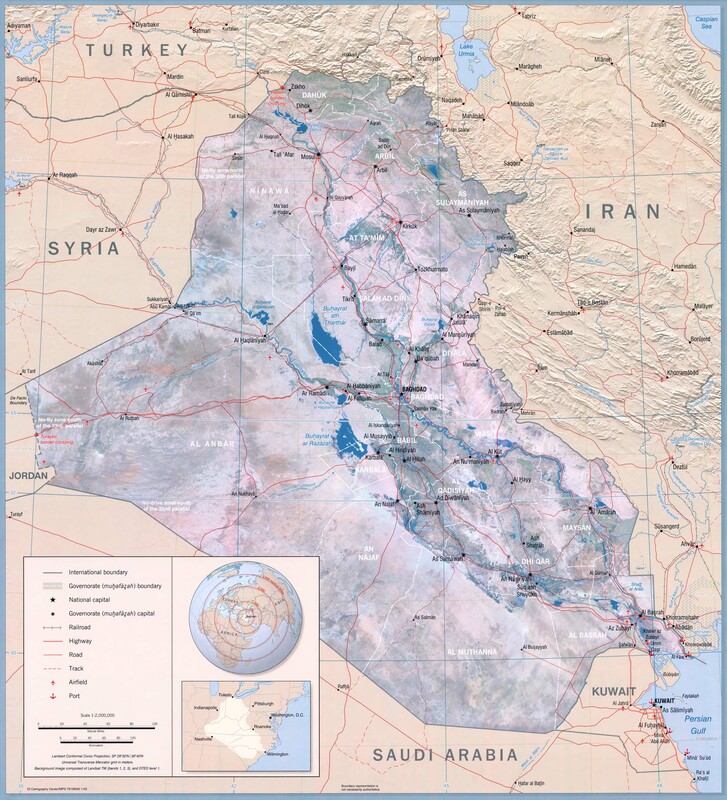 The bombing struck the town of Khalis, a Shiite enclave 50 miles (80 kilometers) north of Baghdad surrounded by the largely Sunni province of Diyala. It is a former al-Qaida in Iraq stronghold that has seen several powerful blasts, one a twin bombing on a restaurant in March that killed 57. Most of those killed Friday were sitting in a cafe in the center of the market that was reduced to rubble. "There was a sudden explosion followed by heavy shooting with smoke, fire and yelling, then sirens, ambulances, police," said Yasser Mohammed, a 28-year-old blacksmith who walked by the cafe minutes before the blast. #2: Three Iraqi army soldiers and two policemen were wounded on Saturday, when a roadside bomb went off while they were attempting to defuse it, northeast of Baaquba city. “The incident occurred today in a village around 180 km northeast of Baaquba,” a local police source told Aswat al-Iraq news agency. #1: Turkish warplanes bombed Kurdish rebels in northern Iraq on Thursday, the state-run Anatolia news agency said. The air strike was carried out against a group of Kurdish rebels seen moving toward the Turkish border, the report said. It did not mention any casualties. Private NTV television said 20 warplanes took part in the strike on targets in the Zap and Hakurk regions along the border. The press office of Turkey's military declined to confirm or deny the attack. Ahmed Danis, a spokesman for the PKK, the Kurdistan Workers' Party, said Turkish jets bombed at least three villages in the Qandil mountains, near the area where Iraq, Iran and Turkey intersect. But he said there were no casualties among the fighters because the left their bases a while ago and now live in caves in the area. The bombing went on for about two hours, Danis said, adding that planes could be heard overhead for a few hours later. #1: A car bomb parked near a mosque in Salamiyah neighbourhood, south Mosul, detonated Friday, injuring seven civilians including a woman and child. #1: Ten people, including two women and two children, were killed when drones operated by the US Central Intelligence Agency (CIA) fired missiles at a target in Pakistan's North Waziristan tribal district. The strike took place in Boya sub-district, some 25 km west of Miranshah, the main city of the district bordering Afghanistan. The Taliban and Al Qaida are known to use the area for staging hit-and-run raids against US and NATO forces in Afghanistan. 'The drones fired four missiles just before midnight at the house of a tribesman, Khyali Dawar,' Online news agency quoted the intelligence official as saying. 'Six people died, and three were injured,' the official added. Two women and two children succumbed to their injuries in hospital. Five women and an equal number of children were injured in the strike. Initially, a Filipino named Ilyas was said to be the target of the attack, as one Arab and four local militants also died in the attack. It was not clear if Ilyas died in the strike. The drones flew overhead for hours, hindering rescue work. There have been several occasions when drones carried out a second strike as people gathered for relief and recovery work at a site of missile attack. #2: A Sea King helicopter carrying British troops in Afghanistan has been hit by enemy fire while landing. The aircraft was landing at a checkpoint in the Nad-e Ali area of Helmand province on Friday when it was attacked. Taskforce Helmand spokesman Lieutenant Colonel James Carr-Smith said: "Some of those on board suffered minor injuries and are being treated. "The pilot carried out a controlled landing and it is thanks to the skill and professionalism of all those involved that there were no serious injuries. "The extent of the damage to the Sea King is currently being assessed." #3: At least a dozen people were killed Saturday south of the Afghan capital of Kabul after U.S. troops spotted two insurgents trying to plant bombs, an Afghan official said. The two were shot dead in Paktia province, district chief Gulab Shah said. Troops saw comrades drag the two bodies away and called in a helicopter gunship which killed 10 more people, whom U.S. officials said were all militants, Shah said. Shah said Afghan authorities had launched an investigation to make sure the dead were all insurgents. #4: At least 27 militants were killed including a commander of militants in different clashes with Pakistani security forces on Saturday in the country's restive northwest tribal areas, local media reported. Four hideouts of militants were destroyed during the operation. Two security personnel were also injured in an attack by militants at a security checkpoint in the Orakzai Agency. Meanwhile, three volunteers were killed in a clash between tribal security personnel and the militants in Bazai area of Mohmand tribal area bordering Afghanistan. Elsewhere, a NATO soldier was killed Friday by a roadside bomb in southern Afghanistan, the alliance said without identifying him by nationality. 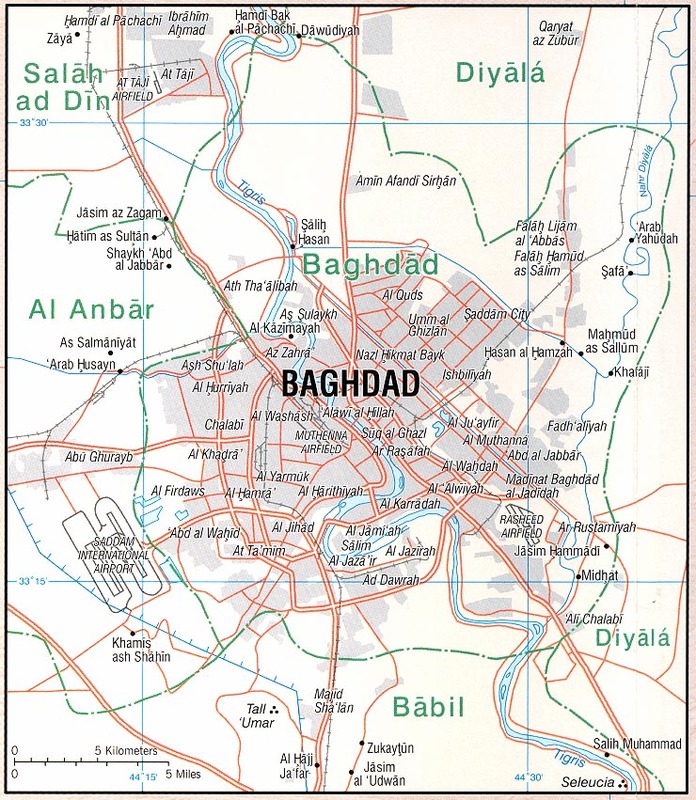 #1: Gunmen wearing military uniform stormed a house, killing four people from one family and wounding one other in the south of Baquba, 65 km (40 miles) northeast of Baghdad, a Diyala operations commander said. #1: A military intelligence officer’s brother was killed in east of Diwaniya city, a police source said on Friday. “Three gunmen killed a military intelligence officer’s brother in front of his house late Thursday (May 20) in al-Joumhoury neighborhood in east of Diwaniya,” the source told Aswat al-Iraq news agency. #1: Gunmen shot dead two policemen at a police checkpoint in central Mosul, police said. #2: Gunmen killed a civilian in western Mosul, police said. #3: Gunmen wounded two civilians during an attack on an army patrol in western Mosul, police said. #1: Also Friday, a roadside bomb exploded in Afghanistan’s main southern city of Kandahar, killing one civilian and wounding three children, an official said. The early morning blast appeared to target an Afghan intelligence service vehicle that drove down a main road in Kandahar city, said Abdul Ali, an intelligence official who was at the scene. Instead, an elderly man took the brunt of the blast — his body could be seen lying in the street. Three children were injured in the attack and taken to hospitals, he said. The intelligence vehicle was damaged but no one inside was wounded, Ali said. #2: Elsewhere, seven insurgents including one would-be suicide car bomber launched an attack on an Afghan border police station in Paktika province on the frontier with Pakistan. Police opened fire as the bomber tried to enter the grounds of the station, police chief Dawlat Khan said. Officers killed the bomber before he could detonate the explosives-laden vehicle. Three other militants outside the vehicle opened fire but were killed in a 30-minute gunbattle. Three others escaped. One policeman and two civilians were killed and one policeman was wounded, Khan said. #3: Taliban militants strapped explosives to two men accused of being US spies and blew than up at a public execution in northwest Pakistan, intelligence officials and residents said on Friday. The killings took place on Thursday evening in North Waziristan, a lawless al Qaeda and Taliban sanctuary on the Afghan border where the United States has stepped up attacks with missile-firing drone aircraft, fuelling militant fears of spies. Five masked militants paraded the hand-cuffed men before dozens of people in the Datta Kheil area and accused them of passing information to the United States on targets for its CIA-operated pilotless drone aircraft. "They strapped explosives around their bodies and then blew them up," a Pakistani intelligence official in the region told Reuters by telephone. #4: Three militants were killed and two others injured when security forces raided a militant hideout in Matta area of Swat Valley, Xinhua news agency said citing TV reports. Automatic weapons, heavy arms and explosives were recovered from the hideout. #5: In Upper Orakzai area, eight militants were killed and 10 injured in clashes with security forces. Sources said two army personnel were also injured in the fighting. DoD: Lance Cpl. Patrick Xavier Jr.
#1: update Taliban insurgents armed with rockets, grenades and suicide vests stormed the giant U.S.-run Bagram Air Field before dawn Wednesday, triggering an eight-hour firefight that killed an American contractor and at least 10 attackers and wounded nine U.S. service members. As troops and contractors huddled in secure bunkers, the militants fired their weapons over American defenses into the base, according to Maj. Virginia McCabe, a spokeswoman for U.S. forces at Bagram. White smoke could be seen rising from the garrison as U.S. attack helicopters whirred overhead. Taliban spokesman Zabiullah Mujahid, who telephoned reporters before the U.S. announced the attack, said 20 to 30 fighters breached the defenses of the base, which serves as the control hub for U.S. forces in Afghanistan. Pentagon spokesman Bryan Whitman said the attackers “were not successful in penetrating the perimeter.” He told reporters in Washington that some of the attackers were wearing suicide vests but were killed by U.S. forces before they could detonate them. Whitman said one civilian contractor was killed and nine service members were wounded. An Afghan provincial police commander, Gen. Abdul Rahman Sayedkhail, said the attack began when U.S. guards spotted militants in a car just outside the base. The Americans opened fire, triggering running gunbattles in which at least one militant triggered his suicide vest and U.S. troops hunted down the other attackers. Four of the slain insurgents had intended to be suicide bombers, U.S. forces said in a statement. At one point, residents of the area discovered a militant hiding in a garden, said Lutf Rahman Reshad, an Afghan police official. They called police, but the attacker lobbed grenades at the officers who arrived. The police fired at the man, who then detonated his explosives vest. The insurgent was wearing what appeared to be a military-style uniform, Reshad said. #2: A suicide car bomb targeted a convoy of NATO-led troops in Kandahar south of Afghanistan on Thursday. #3: Unidentified gunmen shot dead a former member of the parliament from northwest Pakistan's South Waziristan tribal area early Thursday, officials said. Maulana Mirajuddin Mehsud, former Member of the National Assembly, lower house of the parliament, belonged to pro-Taliban party Jamiat ulema-e-Islam. The slain former lawmaker had been involved in peace efforts in Waziristan and was highly respected in the region. Official said that Mirajuddin was critically injured when two motorcyclists opened fire on him. He was heading to mosque for morning prayers when came under attack at small town Murtaza on main road linking Wana, the center of South Waziristan, with Tank, a main city at the edge of tribal region. #4: Two policemen were killed and an officer sustained injuries as a roadside bomb struck a police van in Khost province, east of Afghanistan Thursday, an official said. "The incident occurred in Ali Shir district this morning as a result district police chief Jawar Khan was injured and his two bodyguards were killed on the spot," spokesman for provincial administration Mubariz Zadran told Xinhua. #5: At least 15 militants were killed and eight others injured Thursday as security forces advanced in northwest Pakistan's tribal area, local TV channel reported. Pakistani security forces' jet air strikes also destroyed four hideouts of militants and four vehicles in Hasan Zai, Gaal and Zkhtan areas of Orakzai tribal region, the private TV Express reported. It was the latest offensive launched by Pakistani security forces against Taliban militants in the troubled northwest tribal area. At least 60 militants were killed and 20 others injured in clashes with the security forces in the Upper Orakzai tribal area on Wednesday morning. #6: Taliban insurgents in their armed campaign against establishment killed two persons in the southern Ghazni province and injured five others in the neighboring Wardak province, officials said Thursday. "The rebels brutally executed two more innocent civilians in Andar district of Ghazni province Wednesday night," Police chief of Ghazni province Khayalbaz Shirzai told Xinhua. #7: Taliban militants abducted 12 people on charge of spying for security forces last week and took them to their hideout in Andar district. The militia also on Tuesday night shot dead four of their hostages, according to Shirzai. #8: Furthermore, five civilians including two children and a woman were injured as a mortar shell fired by Taliban militants hit a civilian car in Jaghato district of Wardak province on Wednesday, spokesman for Wardak's provincial administration Shahidullah Shahid told Xinhua. #9: A second explosion hits Jalalabad city, capital of eastern Afghanistan's Nangarhar province Thursday morning but cause no casualties, local TV said. "An explosive device was planted in a minibus on the road to the Jalalabad airport and detonated, but no one was killed or injured in the blast," a police official form Jalalabad garrison was quoted by Tolo television as saying. #10: A bombing Thursday morning rattled Jalalabad city, capital of eastern Afghanistan's Nangarhar province, leaving two civilians injured, a local official said. Ahmad Zia Abdulzai, spokesman for the provincial government, told Xinhua through telephone that the bombing took place at around 6:30 a.m. local time near an office of a local telephone company in the city. It was not a suicide attack, said the official. Earlier, the private Tolo TV channel reported that the incident was a suicide attack. NATO is reporting the death of an ISAF soldier in an IED attack in an undisclosed location in southern Afghanistan on Tuesday, May 18th. NATO is reporting the death of an ISAF soldier in a small arms fire attack in an undisclosed location in southern Afghanistan on Tuesday, May 18th. NATO is reporting the death of an ISAF soldier in an IED attack in an undisclosed location in southern Afghanistan on Wednesday, May 19th. Wreckage of missing Afghan passenger plane spotted: Officials said six foreigners were on board, including three Britons. 101st Division prepares for major Afghan tour: The 101st Airborne Division at Fort Campbell is in the final stages of deploying to Afghanistan this summer to take over military operations in the country's eastern region. #1: A number of US soldiers were wounded on Tuesday in a roadside bomb explosion in east of Baaquba, according to eyewitnesses. “A roadside bomb exploded on Tuesday (May 18) near a US Hummer in al-Hasawiya region in al-Muqdadiya district, east of Baaquba, injuring a number of soldiers,” an eyewitness told Aswat al-Iraq news agency. No word was immediately available from the US army on the incident. #1: The bomb squad on Wednesday defused a booby-trapped car in northern Wassit province. “The car was parked near a trade center, 135 km north of Kut city,” a local police source told Aswat al-Iraq news agency. #1: One civilian was killed on Tuesday by gunmen in northern Mosul, according to a police source. “The armed men opened fire on the civilian in al-Rashidiya region in northern Mosul, killing him instantly,” the source told Aswat al-Iraq news agency. #1: NATO says Taliban insurgents launched a brazen attack on the U.S.-run Bagram Air Base in Afghanistan early Wednesday, leaving 10 militants dead and wounding at least seven service members. NATO said militants started their assault before dawn using small arms, rockets and grenades. A spokeswoman for the base, Major Virginia McCabe, said the attackers did not gain access to Bagram, but that one building received minor damage. She said gunfire had become more sporadic by midday. The Taliban claimed responsibility for the attack, with a spokesman alleging that 20 suicide bombers were involved. #2: Dozens of militants attacked a security post Wednesday in Pakistan's tribal region near the Afghan border, triggering clashes that left two soldiers and up to 40 rebels dead, officials said. The fighting took place in the Orakzai tribal district, where government forces are carrying out an offensive against Taliban and Al Qaeda fighters. 'The terrorists first fired rockets on the security checkpost in the Dabori area, and then over 150 of them conducted an organised ground attack,' a senior official of the paramilitary Frontier Corps said, adding that the attack was repulsed. Two soldiers were killed and 21 injured, said the official who spoke on the condition of anonymity. After the raid, the troops, backed by tanks and helicopter gunships, chased the militants back to their hideouts in the mountains, the official said. 'Between 35 and 40 militants died while 20 to 30 were wounded,' the official added. An intelligence official who also requested anonymity put the death toll on the Taliban side at more than 50 and around 40 injured. The figures could not be independently verified because access to the region is limited for reporters and aid workers. #3: Four security personnel were injured as their vehicle ambushed in a rocket attack by unidentified militants in the outskirts of southwestern Pakistani city of Quetta on Wednesday morning, police said. The police van was partially damaged in the attack near a police station in Mian Ghundi in Hazar Gangi area near Quetta, the provincial capital of Balochistan. The injured included two policemen and two Frontier Constabulary (FC) paramilitary troops, who have been taken to a local hospital for their minor wounds. A nearby high-powered electricity pylon was also partially damaged in the rocket attack, witnesses said. #4: In another incident on Wednesday, a government building was slightly damaged in a rocket attack in Khuzdar area of Balochistan, official sources said, adding that the attack site is located near the office of the district administration chief. Some details on Chris Carter, David Taylor and Daniel Saville who were the three British men killed on the plane crash in Afghanistan. #1: One gunman was killed and another wounded when a roadside bomb they were attempting to plant went off on Monday north of Baaquba city. “The incident occurred at a main road, 100 km north of Baaquba,” a local police source told Aswat al-Iraq news agency. #1: House of high-ranked Sahwa fighter south of Tikrit city was detonated on Tuesday. “The fighter was not at his house (70 km south of Tikrit) when the blast occurred,” a local police source told Aswat al-Iraq news agency. He noted that the fighter’s two daughters were killed in the blast. “A child was also wounded,” the source pointed out. #2: Armed men opened fire upon a Sahwa checkpoint in al Sahil al Aysar (the left bank) in Shirqat district, to the north of Tikrit, Monday, seriously injuring five Sahwa members. #1: Two women were wounded by an improvised explosive device in eastern Mosul, according to a police source. “An improvised explosive device went off on Monday (May 17) targeting an army vehicle patrol in al-Muthanna neighborhood in eastern Mosul, injuring two women,” the source told Aswat al-Iraq news agency. #2: One civilian was wounded on Monday when gunmen opened fire at an army checkpoint in eastern Mosul, according to a security source. “The gunmen opened fire in al-Harir neighborhood in eastern Mosul, injuring a passing civilian,” the source told Aswat al-Iraq news agency. #1: A roadside bomb targeting a police patrol in Dera Ismail Khan has killed 13 people including four policemen, report said on Tuesday. The bomb exploded as the patrol travelled through the town of Dera Ismail Khan on Tuesday, reported China's Xinhua news agency. The dead included a senior police officer, DSP Iqbal Khan, as well as his two guards and driver. Khan was on his way to his office when his patrol was targeted in Kachi Paid Khan area at Bannu Road by the bomb planted in a rickshaw. A senior police official in Dera Ismail Khan says nine civilians were also killed by the blast, including two schoolchildren and a woman. #2: Afghan troops rescued five United Nations workers in a northern province one month after they were kidnapped by insurgents, officials said Tuesday. Police spokesman Lal Mohammed Ahmadzai said the freed hostages were in good health. "Afghan security forces launched a joint operation in Dana Ghori district of Baghlan province on Monday evening and freed five Afghans UN staff members," said General Murad Ali Murad, army chief for the northern region. Murad said two soldiers and several insurgents died in the rescue. The Italian Defense Ministry is reporting the deaths of two Italian ISAF soldiers in a roadside bombing 25km south of Bala Murghab, Haret province, Afghanistan on Monday, May 17th. Two additional soldiers were wounded in the attack. #1: Unknown gunmen slaughtered a cleric northeast of Baaquba city on Monday . “The armed men broke into the cleric’s house, stabbed him, and cut his head and then hanged it on a nearby electricity column,” a local security source told Aswat al-Iraq news agency. #2: Police forces defused on Monday a roadside bomb north of Baaquba city. “The bomb was planted on a main road, 55 km north of Baaquba,” a local police source told Aswat al-Iraq news agency. 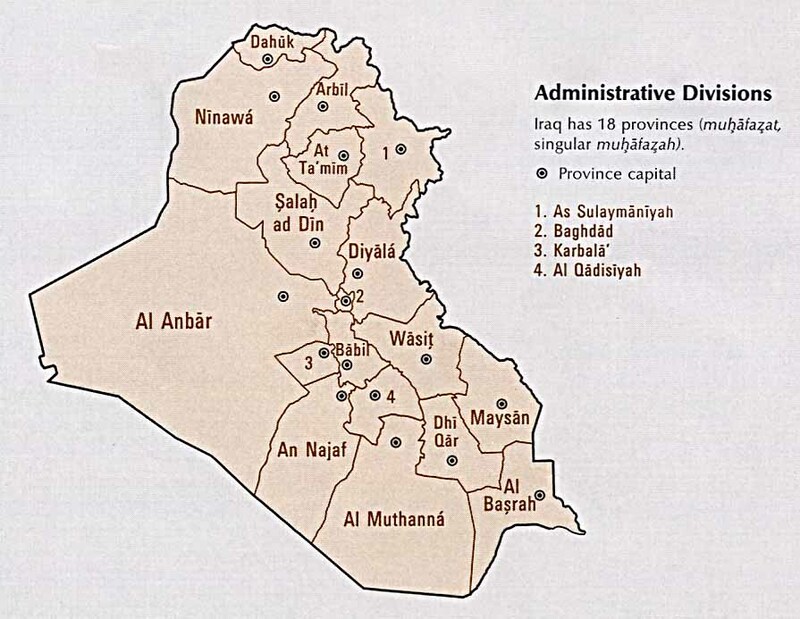 #1: A local official at the district of Falluja city was wounded on Monday when unknown gunmen opened fire to assassinate him. #2: A roadside bomb hit on Monday an Iraqi army patrol east of Falluja city. “The blast occurred 18 km east of Falluja,” a local security source told Aswat al-Iraq news agency. He did not mention further details, but noted that the blast caused only some damage to one of the patrol’s vehicles. #1: An Afghan passenger plane carrying 44 people, including six foreigners, on a domestic flight crashed Monday near the Salang Pass north of the capital, officials said. There was no immediate word on casualties. Rescuers were on their way to the crash site near the 3,800-metre-high Salang Pass, a major route through the Hindu Kush mountains that connects the capital to the north. Airport police Chief Mohammad Asif Jabar Khil said the Pamir Airways plane went down about 100 kilometres from Kabul. Raz Mohammad Alami, deputy transportation minister who was travelling to the crash site with the minister of aviation and other officials, said the plane was carrying 44 people, including six foreigners and six crew members. #2: An influential Muslim cleric, his brother and a driver were killed in an ambush in eastern Afghanistan, authorities said Monday. Gul Rahman and the two men were killed Sunday evening, said Edress Gharwal, governor spokesman for Kunar province. Rahman is an ex-Islamic Party member and influential in the province. He joined the government and was instrumental in pushing for peace and stability in the country through a reconciliation program. #3: Taliban militants attacked a security checkpost in a restive northwestern Pakistani region on Monday, sparking clashes in which 19 insurgents and one soldier were killed, officials said. The fighting took place in Orakzai, an ethnic Pashtun tribal region where security forces have stepped up operations against militants in recent months. “They targeted three different locations in Orakzai and were using rockets and other heavy weapons,” the official said.“Troops retaliated effectively and killed eight militants. Reports from the area said troops arrested three injured militants,” the official added. Another security official said militants attacked in the village of Stoorikhel, where troops were establishing a new checkpoint, and launched two more attacks on military positions in the villages of Daboori and Anjani. “Troops used artillery to pound militant hideouts,” the official added. #4: Separately, eight militants were killed and four paramilitary soldiers were wounded in overnight clashes in a nearby area, another government official said. #5: THREE Australian special forces soldiers have been wounded in a roadside bomb blast in southern Afghanistan. They have been admitted to hospital in Kandahar but their condition is described as satisfactory and they are expected to return to duty. Defence force chief Angus Houston said improvised explosive devices (IEDs) remained a persistent threat with 48 such incidents involving Australian troops between November last year and April. "Over the weekend, a device was activated by a Bushmaster-protected mobility vehicle and three Australian soldiers were wounded," he told reporters in Canberra on Monday. #6: Three suicide bombers launched a coordinated assault on a police headquarters in southern Afghanistan overnight, damaging the compound and sparking a gun battle, officials said Monday. The attack underscored the growing threat posed by the Taliban in Kandahar, their spiritual home and the focus of a US-led push to beat back a nine-year insurgency in a bid to allow American forces to start withdrawing next year. The first suicide attacker detonated a motorcycle rigged into a bomb outside the border police compound in the city, destroying the outer wall of the compound, said senior police official Mohammad Ashraf Gharzai. Two other suicide attackers then ran into the compound after the blast and opened fire on border policemen in the building, said Gharzai. "After a 40-minute gun battle both suicide attackers were shot and the explosives strapped to their bodies went off," Gharzai told AFP, adding that he had been at the compound when the attacks took place. "Only four policemen were slightly wounded," he added. #7: Two explosions in southern Afghanistan on Sunday killed eight civilians, including three children, the interior ministry said. The children were killed in a blast next to local shop in Panjwayi district of Kandahar province and the five other civilians when their vehicle drove over a roadside bomb in the Chora district of neighbouring Uruzgan province.